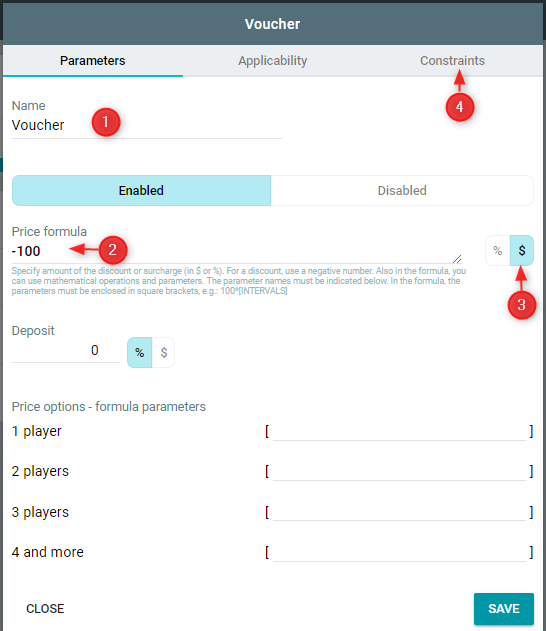 How do I set up vouchers? 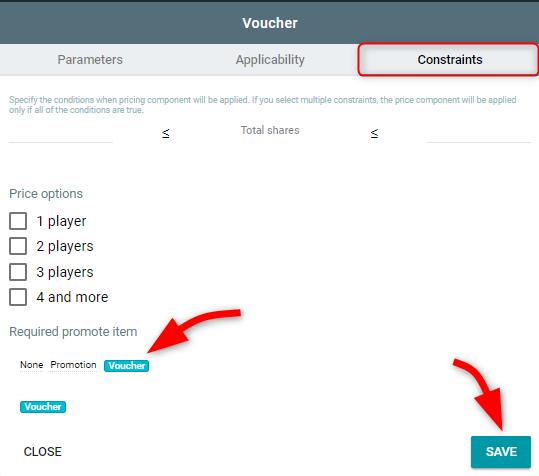 In the Promotion section, click Create voucher. 3. 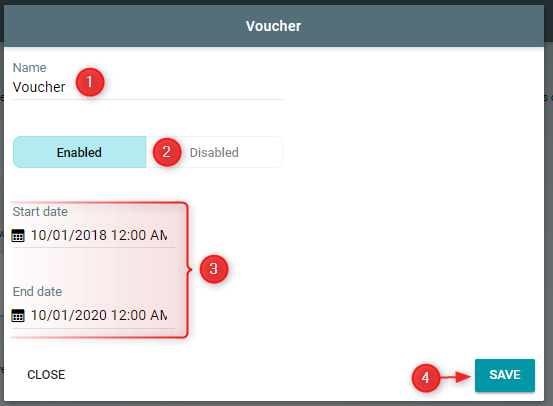 Specify the validity period of the voucher. 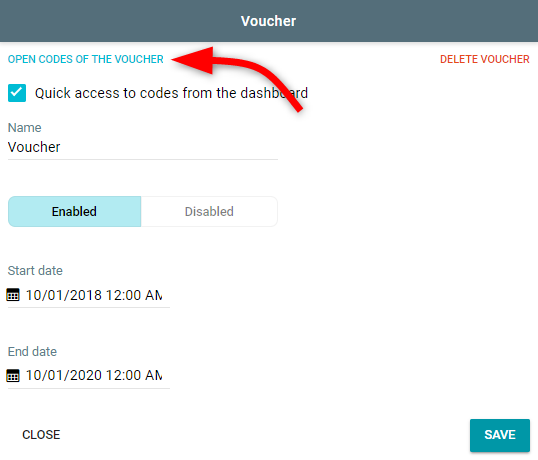 Open the voucher and click on Open codes of the voucher. In the code table, click +. 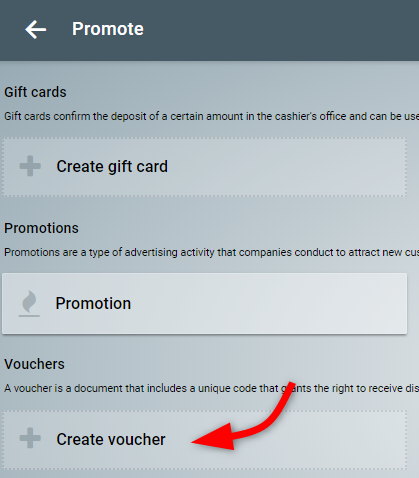 Then enter the code of the voucher. For the system to automatically assign codes, leave it blank. Also you can add a comment. For example, the street or the institution where the coupon was issued. Similarly, add all coupon codes. You can also add several codes at once. To do this, click Create мultiple. Voucher code can be used once. 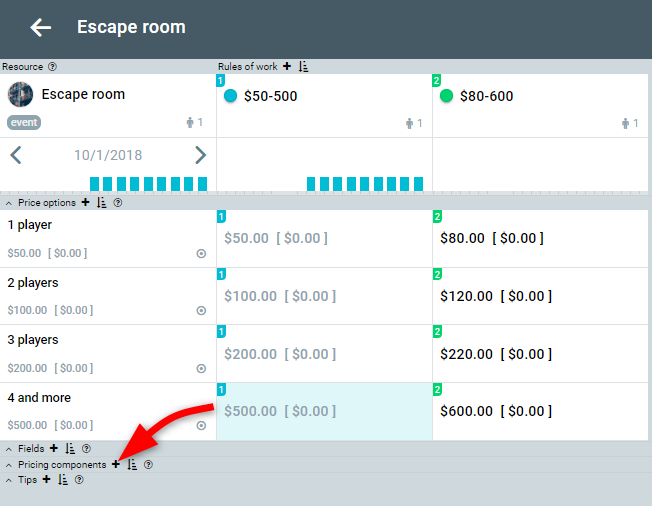 Now, in the resource configuration, create a pricing component. Click +. Enter a name and specify a formula. For example, -100 and $. Click the Constraints tab. Among the promotional tools, select Voucher.